Then today, I’d like to tell you the best way to support the Second Amendment, while collecting extra income of over $1,200 a month. But, before I go into any details, let me tell you who I am and why I’m so passionate about sharing this information with you. As I mentioned, my name is Jason Hanson. 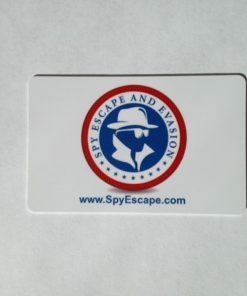 I’m a former CIA officer and an Eagle Scout from Troop 826 in Oakton, VA.
You may have seen me on ABC’s Shark Tank or the NBC TODAY Show or read about me in Forbes or heard about me on NPR. 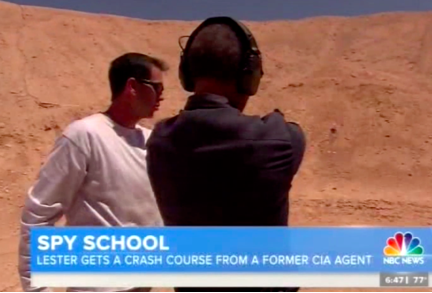 In fact, below is a picture from when I was giving a shooting lesson to Lester Holt of the NBC TODAY Show. I’m also a writer for Combat Handguns magazine and Personal and Home Defense magazine. And starting my own business. Over the years, I tried my hand at several businesses… Such as real estate investing… But nothing seemed to work. After 7 years of struggling, I finally started a gun business from my kitchen table that now generates over $1,200 a month in extra income. In my humble opinion, there’s nothing better than having the freedom to buy and sell guns for a profit… While supplementing your income with something you love doing. Of course, I’m not the first person to figure out that a small gun business is the perfect way to collect extra income. Chip Montgomery of Layton, UT started a home-based business and now makes over $1,200 a month… Selling mostly AR-15s. Gary Kenney of Lakewood, CO collects over $1,200 a month selling handguns, rifles, and accessories… All while working from home. And Cory Lamson of Dallas, TX does transfers, sells guns, and makes well over $1,200 a month with his home-based Federal Firearms License (FFL). A gun business is one of the best businesses you can start today, while also supporting our precious Second Amendment rights. The fact is, there are many ways to collect extra retirement income from your gun business. And, you don’t have to work 40 hours a week… Rent expensive office space… Or, spend a fortune on inventory. For instance, have you ever ordered a gun online from a place like Bud’s Gun Shop? You know the gun can’t be shipped directly to you, but must be shipped to a local FFL in your area. When you pick up your new gun, the fellow transferring it often charges $25… $35… Even $50 or more to do a simple transfer. The good news is, once you have your FFL, you’ll be able to do these transfers for other people. For example, if you did just 5 transfers a week and only charged $25 a transfer that would be an extra $125 a week… An extra $500 every month. And that’s just doing transfers. You haven’t even sold a single gun yet. Transfers are a great way for the little guy to make money because most big box stores refuse to do transfers so people have to come to you. And I 100% agree with him. It’s easy money for just a few minutes of work, which is why doing transfers is one of the best ways to collect extra retirement income from your own gun business. One of the biggest benefits of getting your FFL is being able to buy guns for yourself at ZERO markup. The gun shoots great and it’s now in the rotation of guns I carry daily. Of course, you don’t only want to buy guns for yourself, you also need to sell guns to make money. The profit per gun varies, but on average, you’ll make about $50-$75 for every gun you sell. For example, the profit on this popular Sig Sauer P226 is $73. Being conservative, if you sell just 4 guns a week at $50 profit, that’s an extra $200 in your bank account each week… An extra $800 a month. If you add up the $500 a month from doing transfers and the $800 a month from selling a few guns, you’ve already made over $1,200 a month. The secret to making even more money in your home-based gun business is by selling accessories. After all, when someone buys a gun from you they’re probably also going to want ammunition… A holster… A cleaning kit… Or a tactical bag, to name a few. 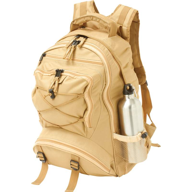 For example, I get the tactical bag below wholesale for just $12 but I sell it for $49… A profit of $37. Now, making $37 off a bag might not sound like much. But, if I’ve already got a customer buying a gun, it only takes two seconds to see if they want a bag. If they say yes, I make a quick $37. And, if I sell just one bag a week that adds up to an extra $148 a month, which covers most of my utility bills. Keep in mind, there are many other items you can sell with even larger profit margins. Obviously, it’s up to you if you want to sell other items besides guns. But, if you want to make even more money in your gun business, I’ll tell you the 3 best accessories to sell and where to buy them at wholesale cost. There are over 100 million gun owners in this country and many of them don’t enjoy cleaning their guns. But, you and I know it’s critical to keep your gun in good condition in case you ever have to use it to defend yourself. This is why another way to collect extra retirement income is by offering a gun cleaning service. When someone buys a gun from you, just mention that you offer gun cleaning. You’ll be pleasantly surprised at the number of people who take you up on this. If you clean just 3 guns a week at $30 per gun, that’s an extra $90 a week… An extra $360 a month. And, when you add up all of these ways to make money, just look at how much extra income you could collect each month. Of course, you could put more hours into your business and make even more money. It’s all up to you because it’s your business. If you’re looking to make a little extra money in retirement to pay off your mortgage, pay utility bills, and not have to rely on Social Security, there’s no better way than your own home-based gun business. Luckily, it’s easy to get started with your own business right now. Over the past several years, I’ve done a monumental amount of work on figuring out how to run a successful gun business. And because of this, I’ve been asked to write in-depth articles for Combat Handguns Magazine, Personal and Home Defense Magazine and even the Beretta firearms company. I’ve come to realize there’s a ton of misinformation out there on what you need to know to start a home-based gun business. And I developed a step-by-step guide to help you start your own gun business as quickly and easily as possible. This guide is called, The Retirement Gun Business Guide: How to make an extra $1,200 a month (or more) from your kitchen table. 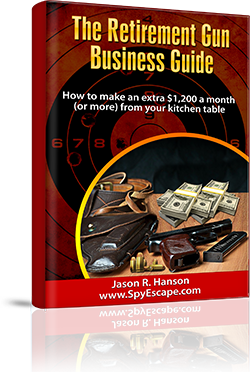 As I just mentioned, this guide is a culmination of my years in the gun business and tells you exactly what you need to do in order to be successful and make as much money as you wish. In order to buy and sell guns for a profit you need a Federal Firearms License (FFL). Don’t worry, getting one is a lot easier than most people realize. In fact, it took me less than an hour to fill out the forms and submit everything to the ATF. You see, I have a theory that people tell you it’s tough to get a home-based FFL because they don’t want the competition. But all you have to do is fill out some forms, get fingerprints taken, and get passport photos taken. Like I said, it took me less than an hour. But to make sure it’s easy as possible for you to apply and get your FFL, I walk you step-by-step through the entire process in The Retirement Gun Business Guide. And more importantly, the guide walks you through every single question on each form so you know exactly what to write in each box. Most of the questions are easy, but there are a few that confuse people. On page 24 of the guide, I reveal the simple two-word phrase that needs to go in one of the boxes to ensure your application gets quickly approved. On page 25, I share the single biggest mistake people make when filling out their application… And how to easily avoid it. On page 32, I debunk a huge myth about applying for your FFL, which could save you a significant amount of money. My point is, the 72-page Retirement Gun Business Guide covers every question and every step of the application process so applying for your FFL is simple and easy. And, in addition to walking you step-by-step through the application process, The Retirement Gun Business Guide also details how to ace your interview with the ATF. You see, after you submit your application to the ATF, one of their employees comes out to interview you. The interview is laid back and nothing to worry about. In fact, the person doing the interview is an administration person who doesn’t even carry a gun. In other words, a lot of people think it’s going to be a rough and tough Agent with his gun and badge, but that’s not the case. I can tell you the same thing about my interview with the ATF. It was with a fellow named Dave who was nothing but friendly and pleasant. The 4 critical documents you want in your hand during the interview… What to never, ever say during the interview… How and where to have the interview… And, the single most important question you should ask the ATF employee during the interview. As you can see, The Retirement Gun Business Guide takes all of the guesswork out of quickly and easily applying for your FFL. But, The Retirement Gun Business Guide also contains a lot more than what I’ve already described. You see, once you have your FFL you need to know how to start making money, right? In other words, you need to know how and where to get the guns you’re going to sell for profit. Earlier, I told you about my Springfield 1911 (below) I bought for myself at zero markup. I got this through one of the wholesalers I use. A wholesaler sells you a gun at cost and then you resell it for profit just like any other business. The thing is, there are a number of firearms wholesalers and trying to figure out which is the best to use can be a major headache. After all, some wholesalers require you to place a $5,000 minimum order, and other wholesalers only work with brick and mortar gun stores. Luckily, in The Retirement Gun Business Guide I reveal the 3 wholesalers I use and how to easily sign up with each of them. And best of all, they don’t require you to buy thousands of dollars worth of inventory. In fact, I never carry inventory and simply order a gun when my customer requests it. 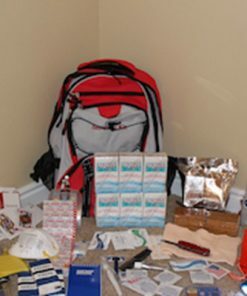 But also, to thousands of other items such as ammunition, cleaning kits, lasers, holsters, flashlights, and more. 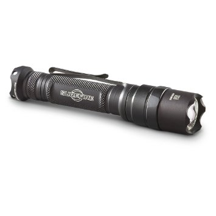 For instance, you could get the Surefire flashlight below for yourself and save over $40. So you can start collecting retirement income of $1,200 or more each month. I want you to be as successful as possible with your home-based gun business. The way I look at it, the more guns you sell, the more Americans that have a firearm to protect themselves. But, I also interviewed 6 other FFLs so you can hear their success secrets too. For instance, one of the interviews is with a fellow named Guido K. who has his home-based FFL in Colorado. During my interview with Guido, he reveals how to get your class 3 license so you can buy and sell silencers… The best wholesaler to get items such as 5.11 tactical gear and Blackhawk brand gear… Where you want to go to get the best deal on Sig-Sauer pistols… The secret of making money at gun shows, including a brilliant idea that helps him attract a flood of customers to his gun show table… And much more. Another interview is with Chris L. who has his home-based FFL in Texas. Chris shares his special niche and how it allows him to blow away his competition… His favorite marketing tool (that anyone can use) to make money… His #1 wholesaler and why you must know about their “secret” Saturday sales that allow you to get the best prices on guns… And more. Roy P. happens to be a home-based FFL in Indiana. During my interview with Roy he shares the #1 accessory he sells to people when they buy a gun from him… The two marketing methods he uses to attract customers to his business… The step-by-step process of how he handles a customer when they call him to buy a gun… And a whole lot more. The fourth interview that will help you make more money in your gun business is with Patrick G. from Missouri. Patrick shares a huge secret in his interview about how to make money off of used guns. He also reveals how he makes money gunsmithing… How to sell guns to people in the military… The list of accessories he sells to his customers… His two favorite places to get ammunition… And more. Chris M. is a highly successful FFL in Utah. Not only does he sell guns but he also manufactures them. Like many folks, Chris started out as a home-based FFL and then eventually got a storefront. In Chris’ interview he shares the single best place to buy Ruger firearms… The two most popular accessories that people want after buying a handgun… What accessory goes best with bolt-action rifles… His 3 favorite silencer manufacturers… And more. The final interview is with a fellow named Dennis K.
I don’t want to spoil this one because Dennis lives in one of the most anti-gun states in our nation. But, he was still able to get his home-based FFL and reveals exactly how he did it. The fact is, along with the Retirement Gun Business Guide, these 6 interviews take all of the guesswork out of starting your gun business so you can quickly begin collecting over $1,200 each month. Obviously, only you can answer that question. But, I can tell you with 100% certainty that the Retirement Gun BusinessGuide is the single best way to start a successful home-based gun business. After all, you’re getting a lifetime of information from me and other successful business owners to help you collect over $1,200 a month in your very own gun business. So, if you want to take the guesswork and headaches out of starting your own gun business, here’s how to get the Retirement Gun Business Guide right now. Normally, this one-of-kind guide is $99. Quite frankly, I think that’s an incredible bargain. After all, when you start making over $1,200 a month you’ve already made back over 10 TIMES your investment. For a limited time, I’ve made the Retirement Gun Business Guide so affordable you’ll likely be surprised at the new low price. This 37-page report walks you step-by-step through everything you need to know to apply for and get your Class 3 License. Getting your Class 3 allows you to sell silencers, machine guns, and short-barreled rifles, to name a few. This is an excellent way to boost your income because these items have some of the highest profit margins. For instance, silencers are the most popular Class 3 item and the average profit is around $200. If you sell just two silencers a month, that’s an extra $400 in your pocket. Add that to the money you’re making from transfers, selling guns, and accessories… And you can see how you could make a lot more than $1,200 each month in your gun business. This report tells you exactly how to do this and reveals the best wholesalers to use when buying silencers and the single best marketing tactic to help you sell silencers. You’re going to get a free copy of the book, The Bulletproof Firearms Businessby Bennet Langlotz. Bennet is a firearms attorney who works with some of the largest names in the gun world, including Steve Hornady, Ronnie Barrett, and Aaron Hogue. The fact is, Bennet’s book is full of critical advice for protecting your gun business and this book could save you an absolute fortune as a business owner. A few of the chapters in the book include, What The Fiercest Firearms Businesses Can Learn From a Cookie Baking Granny, and How Buying One Gun With a Lousy Trigger Earned Me a (Small) Fortune. If you plan on having a successful business, you definitely want to read this book. If you really want to make a lot of money in your gun business, you’ll want to do some marketing. Recently, I put together a marketing campaign that did over $10,400 in sales in less than a week. I give you the exact marketing campaign I used and I reveal why it was so successful so you can put together something similar for your own business. The fact is, this campaign can be used so many different ways that it could make you six-figures over the years. Joshua Prince is the Chief Counsel of the Firearms Industry Consulting Group. His articles on gun rights have been cited in several federal appellate briefs and he’s an avid firearms collector and target shooter, who owns numerous NFA firearms. Joshua and I did a special interview where he revealed important information every FFL holder needs to know. For instance, during our interview Joshua shares a brilliant secret about forming an LLC for your business… How to make sure your initial interview with the ATF goes smoothly and the questions you need to ask them… The importance of your 5th Amendment rights… What you never, ever want to do with your business documents… And much, much more. It would cost you hundreds of dollars to hire Joshua for a private consultation to get this information, but, I’ve included it for free with the Retirement Gun Business Guide. As I mentioned, The Retirement Gun Business Guide normally costs $99. But right now, you can get the Guide and 4 free bonuses for only $27… The lowest price I’ve ever offered. And because it’s more important than ever that we support our Second Amendment rights. Also, if there’s any doubt in your mind about how The Retirement Gun Business Guide can help you generate extra retirement income of $1,200 or more a month, don’t worry because you can try this guide absolutely risk-free. In short, take the next 60 days to try this Guide and all of the free bonuses. If for any reason, you don’t think The Retirement Gun Business Guide was worth every penny, just let me know. I’ll give you a prompt and courteous full refund… No questions asked and no hassles…The way I’d expect to be treated if our situations were reversed. Just keep in mind, this special low-price offer won’t be around long. As soon as you take advantage of this offer you’ll get instant online access to The Retirement Gun Business Guide and the free bonuses. You see, I want to give you this invaluable information… At the lowest price possible. In other words, there’s no way I’d be able to make you this offer and give you The Retirement Gun Business Guide… 6 FFL interviews… Free Class 3 License special report… Free Bulletproof Firearms Business book… And other free items for only $27 if I had to pay for shipping and handling and hire a company to produce the manuals, CDs, and DVD. The good news is, two minutes from now you can have instant online access to everything I’ve described above and everything you need to know to generate an extra $1,200 a month. Or, you can take advantage of this risk-free offer and get The Retirement Gun Business Guide and free bonuses delivered to you immediately.